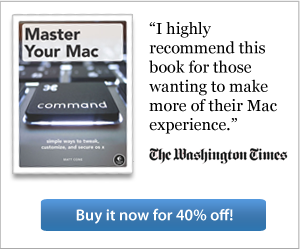 You've heard of Siri, the hands-free virtual assistant built into iOS. It used to be exclusively available on the iPhone, but with the release of iOS 6, Siri is now available on certain iPad models as well. As of December 2012, it works on the third and fourth generation iPad, as well as the iPad mini. Tap General on the sidebar. The general settings appear, as shown below. Tap Siri. 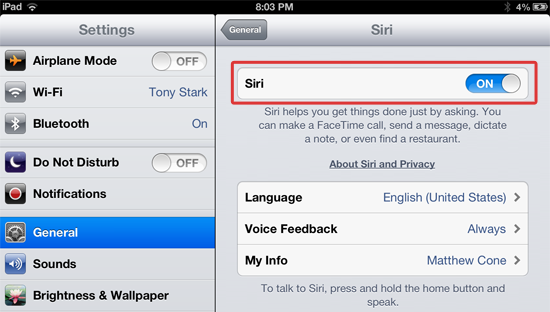 The settings for Siri appear, as shown below. Move the Siri slider to the On position. Congratulations! 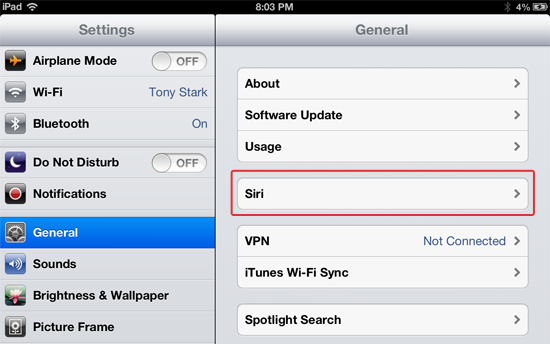 Siri has been enabled for use on your iPad. To use Siri, make sure your iPad is connected to the Internet, and then press and hold the home button. When you hear the alert and see Siri's icon, ask Siri a question. For more information about using Siri, read the documentation about Siri on Apple's website.